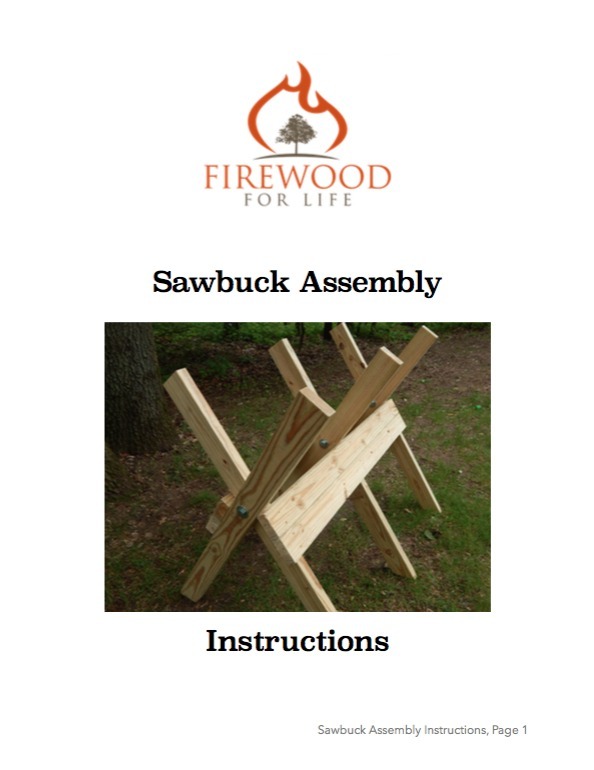 These sawbuck plans are designed to give you an easy way to build a strong, stable, folding sawbuck. 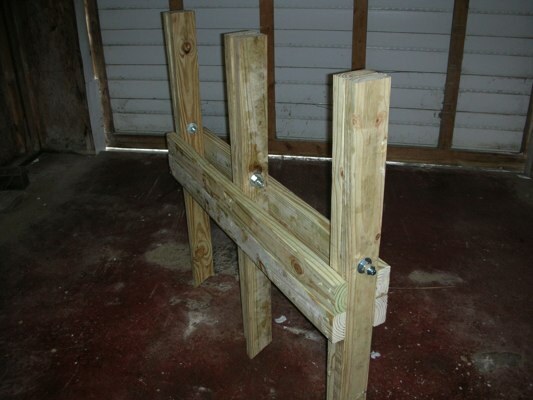 By using just a few 2x4's purchased from a local retailer, you can build your own sawbuck for a relatively low price. 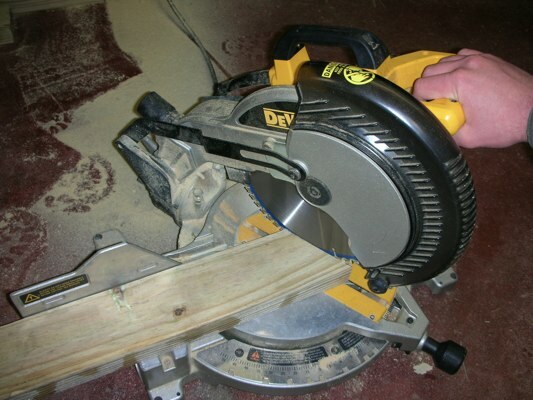 A sawbuck is a device used to hold rough wood so it can be cut into smaller, more useable lengths. The logs or limbs are placed into the open V's which stabilize the wood allowing you to safely cut it up. The sawbuck also holds the wood off the ground eliminating the possibly of running your chainsaw chain into the dirt. The folding design of this sawbuck allows you to easily store the device when it's not in use and it's very stable, reducing the possibility of it tipping over. 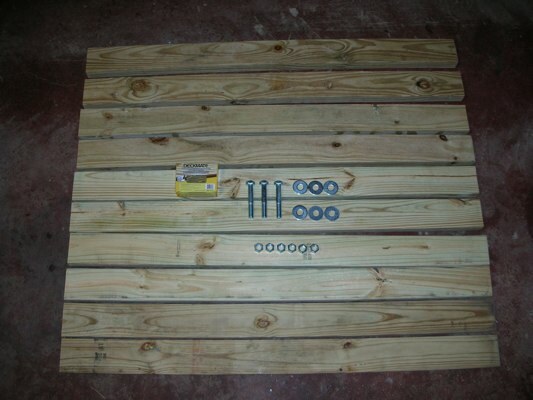 These are the supplies used in the construction of the sawbuck. All of the lumber used was treated because it will be used outdoors and exposed to the elements. It's not necessary to use treated lumber, but it only cost's a few dollars more. 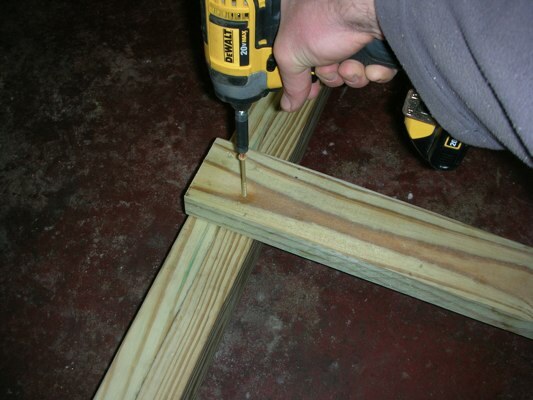 Take six of the 4 foot 2x4's and cut a 30 degree angle on one end. 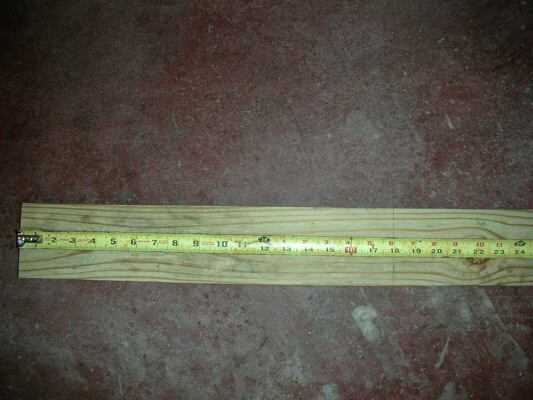 Make sure to only take off the angle and do not cut down the total length of the 2x4. 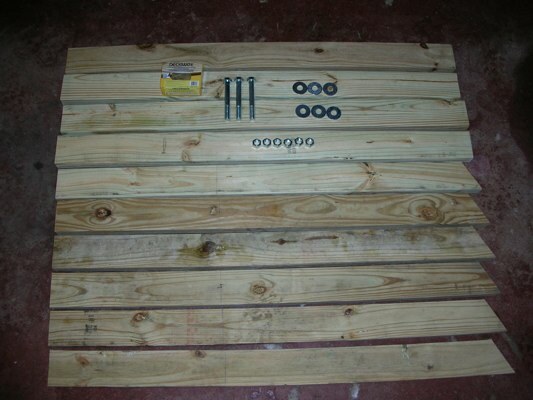 Next, take the six 2x4's with the 30 degree angle. 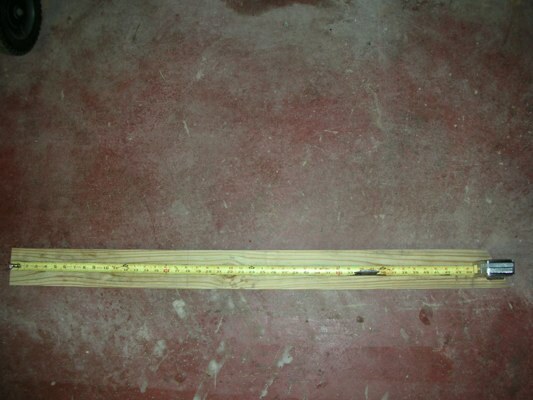 From the vertical 90 degree edge, measure down 18 inches and mark a line. Do this with all six boards. 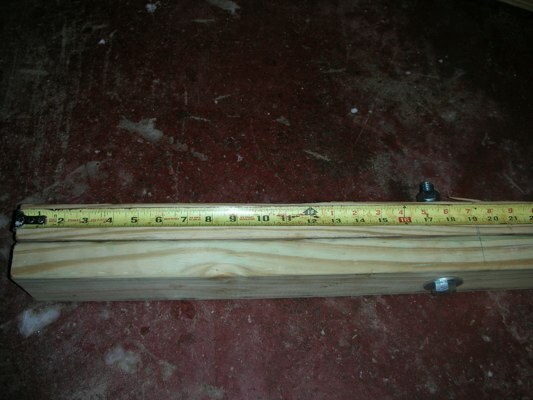 Drill a 5/8 inch hole in the center of the 2x4 on your 18 inch mark. 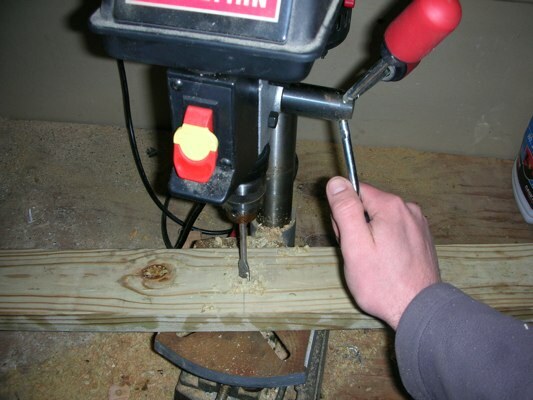 Make sure to accurately drill a straight hole in the center of all six 2x4's. I used a drill press to make sure the holes were straight. 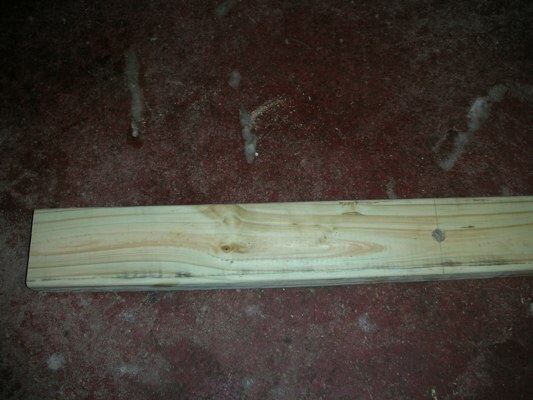 The six 2x4's should now look like this. The 30 degree angle is at the other end, out of the picture. 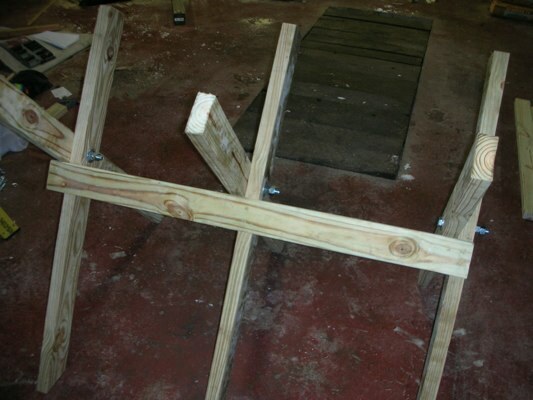 Next, using the bolts, washers and nuts, assemble 3 "X" shaped crosses. A washer is placed on each side of the "X" and two nuts are used. 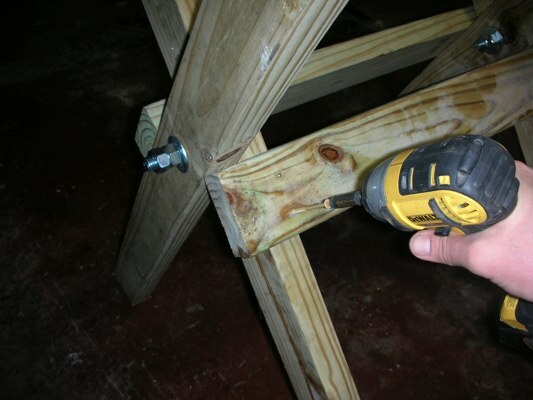 Using two nuts will prevent the nuts from backing off and becoming loose over time. Want to make building a sawbuck even easier? 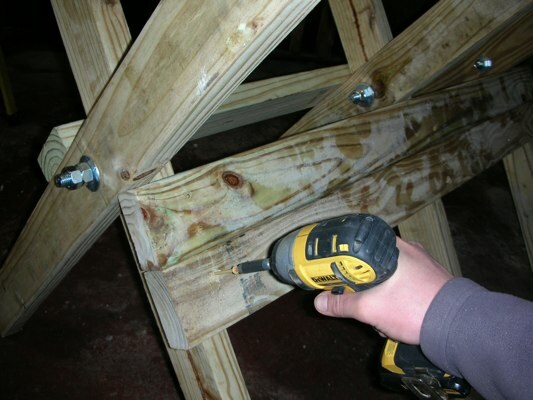 Tighten the nuts so they are snug, but still allow the "X" to open and close freely. Tightening them too much will make opening your sawbuck difficult. You can always adjust the nuts later if needed. Next, fold all three X's flat and mark a line 19 1/4 inches down. This will be slightly below the bolts. Do this on all 3 X's. 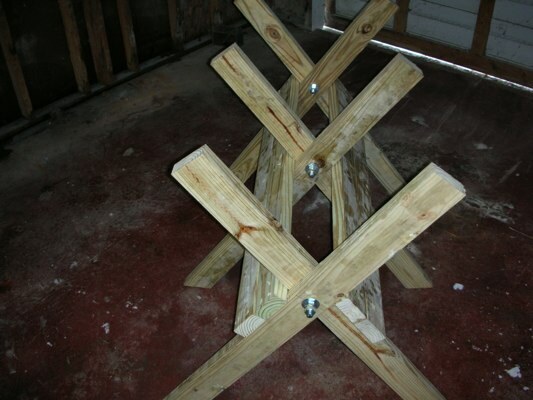 Using the 3 1/2 inch screws, attach a 4 foot 2x4 along the lines of each X. I centered the middle X at 22 1/2 inches. Note in the picture how I am screwing into the inside 2x4. 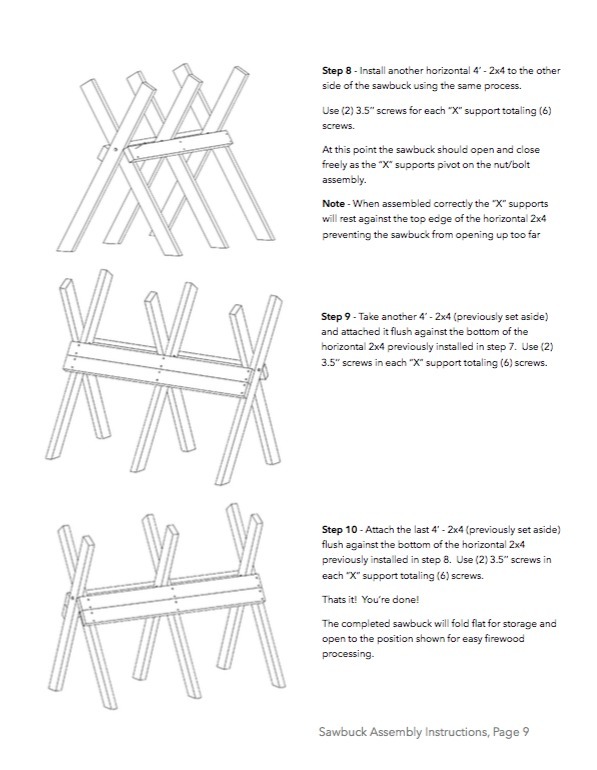 This will allow the X to open up creating your standing sawbuck. 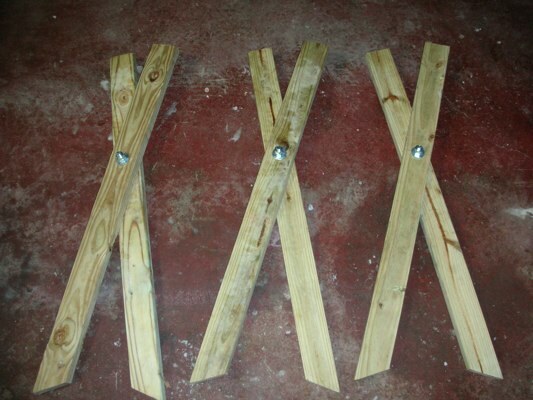 Use 2 screws in each leg of the X. Now attach another 4 foot 2x4 to the other side of the X. Your sawbuck should now look like this. See how the bolts are all facing the same direction? 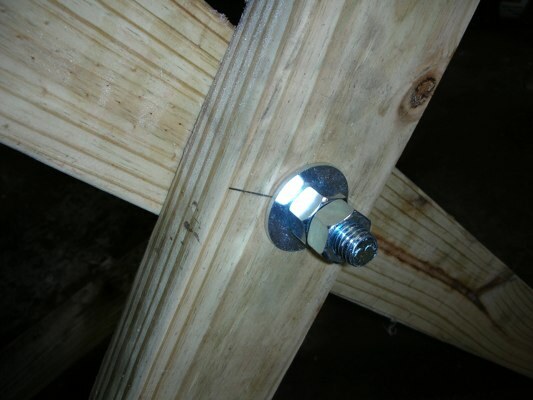 If you cut on the shorter "head" side of the bolt each time it will reduce the chances of you hitting the bolt with your chainsaw. 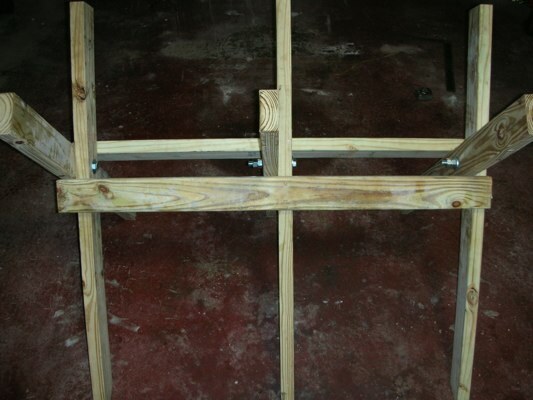 Finally, attach a second 4 foot 2x4 to each side of the sawbuck. This will add extra strength. That's it...You're done! The finished sawbuck will look like this. Here's another view of the sawbuck folded up for storage. 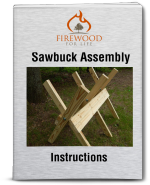 Following these sawbuck plans will allow you to create a useful firewood cutting tool. The supplies cost around $20 and the project takes around 1-2 hours to complete.